For students, it’s even worse. If Barnwell went on to finish his training and ultimately become a great teacher, those early learning experiences would have paid off for him. But his students in those early years don’t get another chance at middle school with a more experienced and more highly trained teacher. And they likely spent the rest of that year with a series of long-term substitute teachers, destroying continuity and stability that are essential to classroom learning. They missed the opportunity to learn, grow, and develop in that grade the way they could have with a highly trained and experienced teacher, putting them behind their peers and increasing the likelihood that they will not succeed academically, not pursue higher education, or even drop out of school. The report from the U.S. Department of Education reveals that in the school year 2013-2014 (the data is messy, so some states reported data from different years) 35,500 teachers across the country were thrown into situations similar to what Barnwell faced above. If we estimate that each teacher had a classroom of 25 students (a classroom that small is unlikely, especially in the low-income districts in which these teachers are concentrated, so this estimate is on the low end), it means over 800,000 students were taught by teachers still in training. 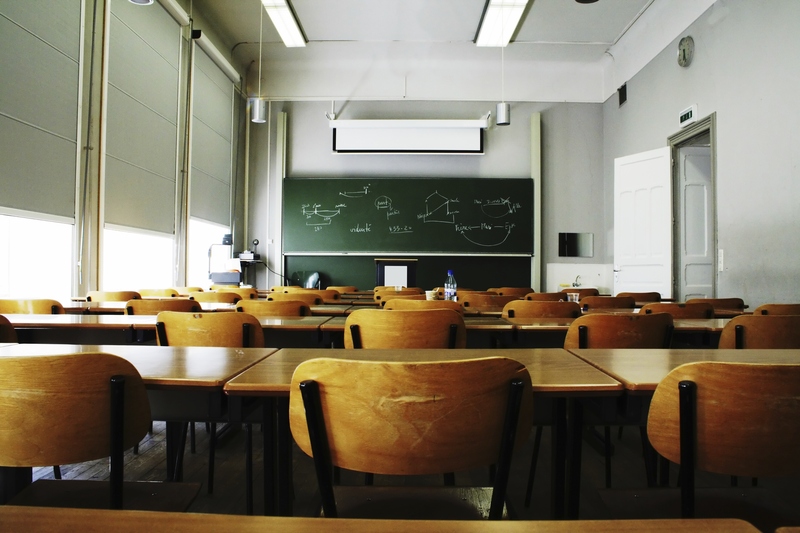 The Department has stated that it is unlikely these numbers fluctuate dramatically year-to-year, so it’s safe to assume that teachers in training teach at least 800,000 students every year. In other words, every year federal education policy allows for roughly 800,000 missed opportunities. Making matters worse, those 35,500 teachers are concentrated in classrooms that would benefit most from highly trained teachers. For example, teachers in training who are identified as “highly qualified” are more than twice as likely to be found in the highest poverty school districts than in the lowest poverty districts. Certain states also have higher concentrations of teachers in training teaching English language learners and students with disabilities. In New Jersey, for example, almost 9 percent of ELL teachers, or 148 total teachers, are still in training, compared to a national average of 1.3 percent of ELL teachers still in training. In New Mexico, on the other hand, 10.7 percent of special education teachers are still in training – a total of 231 special education teachers who have not completed their teacher training, compared to a national average of 1.9 percent of special education teachers still in training. Ask any parent who they would rather have teaching their children, a trainee or a highly trained and experienced teacher, and without fail they will opt for the more highly trained and experienced teacher. Unfortunately, it seems that parents who are often politically marginalized (low-income and non-native English speaking parents, in this case) are not having their voices heard in this case as well. All this is not to fault those who enter alternative certification programs that train teachers while they’re the teacher of record. Those individuals have a clear interest in teaching and are pursuing it in a way they think will work, and a way that is allowed and encouraged by state and federal policies. At fault are the policies that allow teachers in training to be defined as “highly qualified teachers” and therefore concentrated in the hardest-to-teach classrooms. Specifically at fault is the federal policy that has repeatedly extended the definition of a “highly qualified teacher” to include teachers who are still in training. This definition was first changed in the appropriations process in 2010, which changed the definition for one year following a 9th Circuit Court decision that clearly stated that teachers who are still in training are not “highly qualified” and therefore cannot be concentrated in low-income classrooms. The changed definition has made the court ruling moot, and is still in place today after repeatedly being extended through the appropriations process by Congress. Instead of allowing for this, federal and state policy should be encouraging those individuals interested in teaching to enter a comprehensive teacher education program, complete with pedagogical and subject matter knowledge that translates into classroom practice, cultural competency, and clinical practice under a mentor teacher. Federal and state policy can encourage this and limit teacher shortages by developing a comprehensive system for educator professionals that recruits, prepares, and continues to develop excellent educators, and by not allowing under- or untrained teachers to be concentrated in the poorest districts. Unfortunately, despite efforts of Senators such as Casey, Baldwin, Reed and Warren, none of the current proposals to reauthorize NCLB include any minimum requirements before one can enter the teaching profession, meaning the trend toward less training is likely to continue and get worse. Indeed, it has already gotten worse. Recently, the Department of Education approved a request from New Mexico, the state with the highest percentage of special education teachers still in training, that they waive another part of the definition of “highly qualified,” that teachers have subject matter knowledge and expertise. For example, a math teacher must have majored in math. The approved request allows teachers in New Mexico to teach similar subjects, so science teachers can teach any science, technology, engineering or math (STEM) subject, English teachers can teach any humanities subject, and special education teachers can teach general education classrooms, as long as these teachers are rated effective in their original subjects. The Department of Education hailed this as “a big win for New Mexico’s students,” but lowering the bar to make up for shortages of teachers is a win for bureaucrats who can say they fixed a teacher shortage without actually fixing anything, not for students. This presents the same issue as above: it can take years to get a somewhat meaningful measure of effectiveness, and in the meantime students are taught by teachers with no subject matter knowledge. Those teachers may learn and improve, but those students don’t get a second chance at those classes or grades, and that’s a significant loss for students. Even worse, a proposal working through the Wisconsin state legislature would allow teachers with no college degree to serve as teacher of record, and even allow high school dropouts to teach high school. These examples and the report reinforce the fact that if no minimum requirements for teachers are added to the reauthorization of NCLB currently working its way through the Senate, rolling back teacher requirements will get worse and more widespread, with terrible results for students. Want to learn more? First Focus is a bipartisan advocacy organization dedicated to making children and families the priority in federal policy and budget decisions. Read more about our work on education. Want to get involved? You can support our work on education by making a donation or joining our mailing list to receive updates and action alerts on this issue.